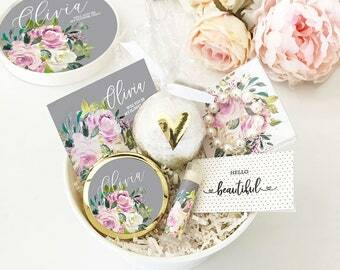 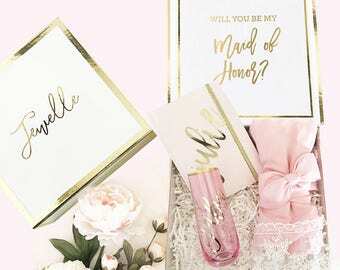 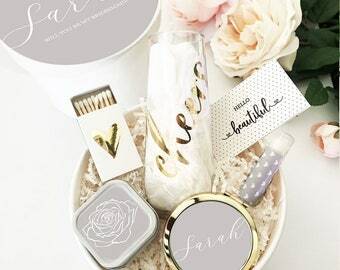 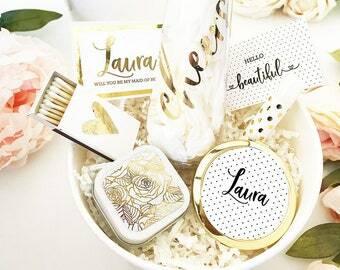 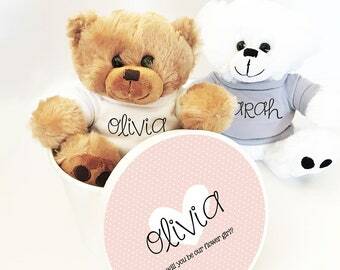 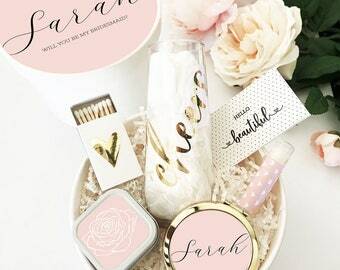 Bridesmaids Gift Box Sets make the perfect proposal gift to pop the question "will you be my bridesmaid?" 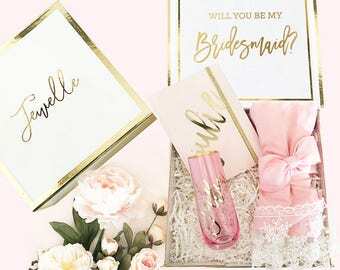 to the girls in your bridal party. 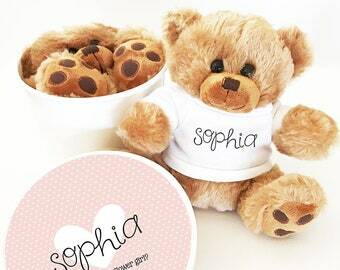 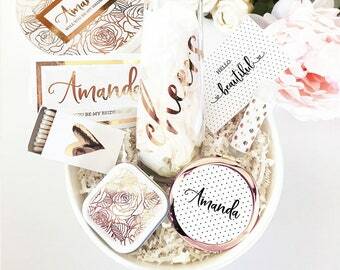 Each complete set includes all the items listed below packaged together with white shred in a white round gift box. 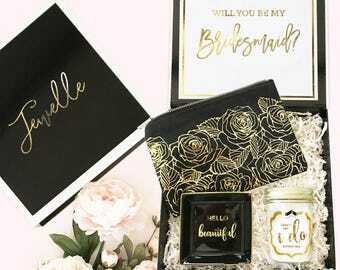 A mini “hello beautiful” card (blank inside) is included for you to hand write in on your own. 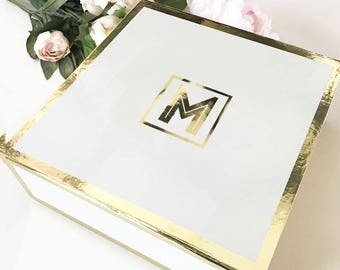 Box labeled with ★ REAL FOIL ★ choose METALLIC GOLD, SILVER OR ROSE GOLD - all items in gift box will match accordingly to your foil color choice.